Caltrans culminated the demolition work on the original east span of the Bay Bridge on Saturday when it imploded two marine foundations. 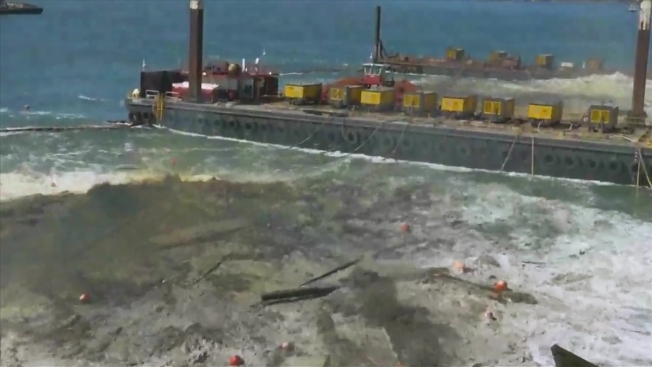 As with previous implosions, Caltrans said it conducted environmental monitoring before, during and after each blast to evaluate any effects to water quality, marine mammals, fish and birds. The California Highway Patrol conducted rolling traffic closures lasting up to 30 minutes on Interstate Highway 80 eastbound and westbound approaching the Bay Bridge on the day of the implosion. The Bay Bridge bicycle and pedestrian path were closed through Saturday morning. It was reopened shortly after the implosion was completed. 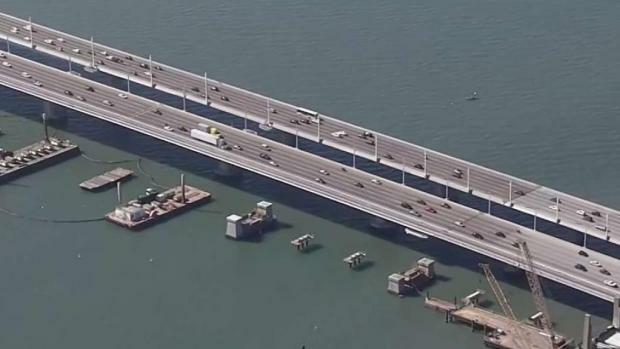 Caltrans will culminate the demolition work on the original east span of the Bay Bridge on Saturday when it implodes two marine foundations. Sergio Quintana reports.